It’s that time of year again—no, not the day you receive your year-end bonus, or the period when your colleagues start fighting for the last few slots on the office’s annual leave calendar. No, it’s time for your workplace’s annual Christmas party. That means you’re going to have to buy Christmas presents for your colleagues. Whether you’re being forced to do so because of a Secret Santa exercise or just want to spread the Christmas spirit, it can be hard to think of gifts for people whom you work with every day, but whose personal lives you may not necessarily be that familiar with. Here are five Christmas gift ideas that will get you into your coworkers’ good books. We all have that one coworker whose desk resembles a scene from the Sichuan earthquake. Do him a favour and get him whimsical desk accessories that will help him stay organised, and also make his cubicle look a little less depressing. You’ll also benefit, as you won’t have to wait two hours the next time you borrow a stapler from him. 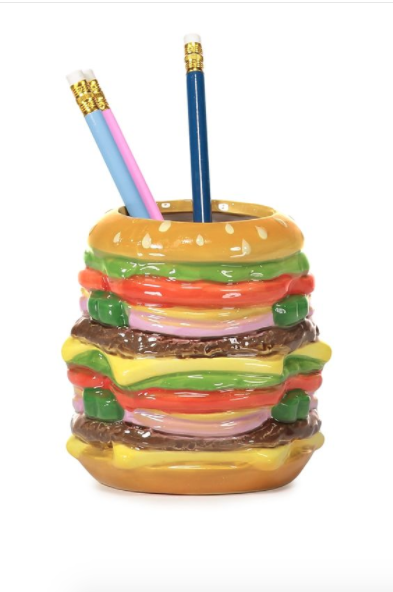 A pen holder like this hamburger-shaped one from Typo will keep your friend from losing his stationery, although we can’t promise it will make him look more professional. We all have that one colleague who consistently stays back later than the rest, whether because he’s great at wayanging or because because he’s unlucky enough to be working with a boss who heaps work on him. Whatever the reason, your colleague is surely sacrificing lots of sleep to spend most of his time at the office. Make those late nights less painful by getting him instant gourmet coffee. He won’t need brewing equipment to enjoy this selection from Boncafé at the office, yet it’s a cut above the watery crap your office pantry tries to pass off as coffee. You’ve stuck by each other through promotions, ranted about your boss ad nauseum, furiously downed glasses of wine after a long day at work and will cover for each other come what may. You’ve been through thick and thin together, so this friendship warrants a gift your office BFF will keep and remember for life. If your BFF is a gent, go for a nice pair of cufflinks that will complement those many tailored shirts he’s gotten made. 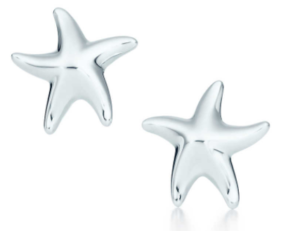 If she’s a lady, a pair of understated earstuds can be a thoughtful gift without being too extravagant. Since you’re so close, you should not have too much trouble finding out what styles he or she likes. Every office has an auntie or two who keeps the gossip train moving. Whether the aunties at your office are nice or malicious, they all have one thing in common—they love a good supermarket deal. 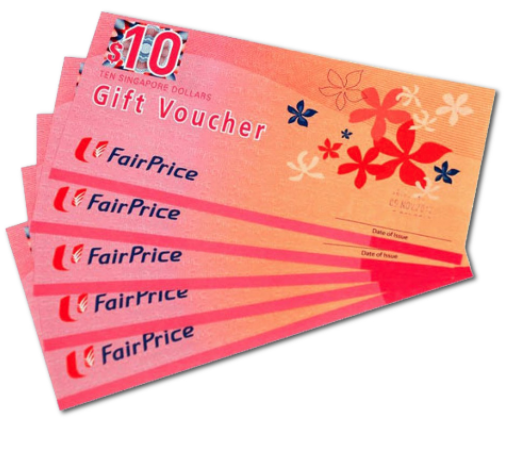 NTUC FairPrice vouchers may not be the sexiest thing you could give your office aunties, but they will most definitely be appreciated more than a voucher of the same amount at some fancy department store. Here’s a MoneySmart tip – if you need to meet your credit card monthly spending requirement, consider buying vouchers with your grocery credit card! Getting a gift for your boss is always nerve-wracking, unless he or she also happens to be your parent. When buying a Christmas gift for your boss, don’t aim to impress—getting an expensive or impressive gift can smack of bribery or sucking up, while overly personal gifts can be awkward, unless you have a close personal relationship with him or her. 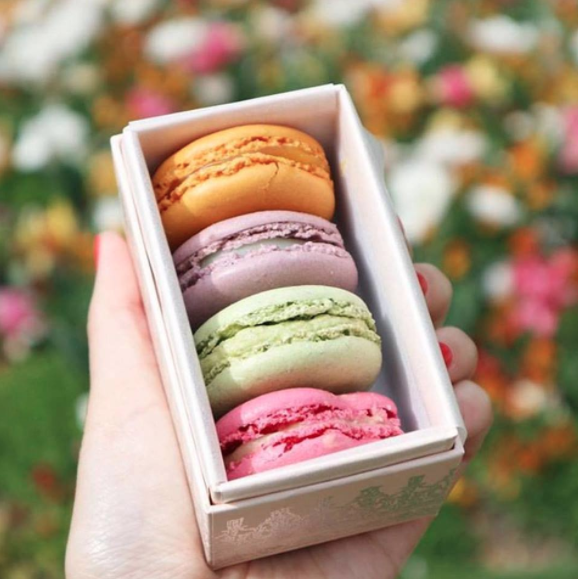 Stick with a simple, pleasant crowd-pleaser, like a box of chocolates or a pretty box of macarons from Ladurée, and you’ll please your boss without coming across as creepy or ingratiating. What’s the best gift you’ve ever received from a boss or coworker? Tell us in the comments!